When you ride Disney World attractions often, you start to remember certain details. You remember the queue, the music, and the feeling of experiencing a really good theme park ride. What I remember most about certain attractions are the scripts- some are better than others, but I usually start to memorize everything from the pre-shows, to the song lyrics, and even the safety spiels. Of course, I’ve learned not to recite these out loud during the ride, but there are some attraction quotes that stand out and never fail to make me smile. There are ten attraction quotes (from rides all over the World) that I find to be the most iconic. Is there anything more soothing than riding through the dark scenes of Spaceship Earth, listening to the sound of Judi Dench’s voice? I love the transcript of Spaceship Earth almost as much as I love the attraction itself. There are so many quotable moments on this ride, but the little nugget about the Phoenicians is one that I, and many other Disney fans, repeat the most. There’s even a whole range of products on Etsy (most of them T-Shirts) that say, “If you can read this, thank the Phoenicians.” Every time I hear this line, I immediately imagine that I’m back in Epcot, gliding past the ancient scholars. Who would have guessed that a safety spiel reminding guests to remove their hats and glasses would be so memorable? 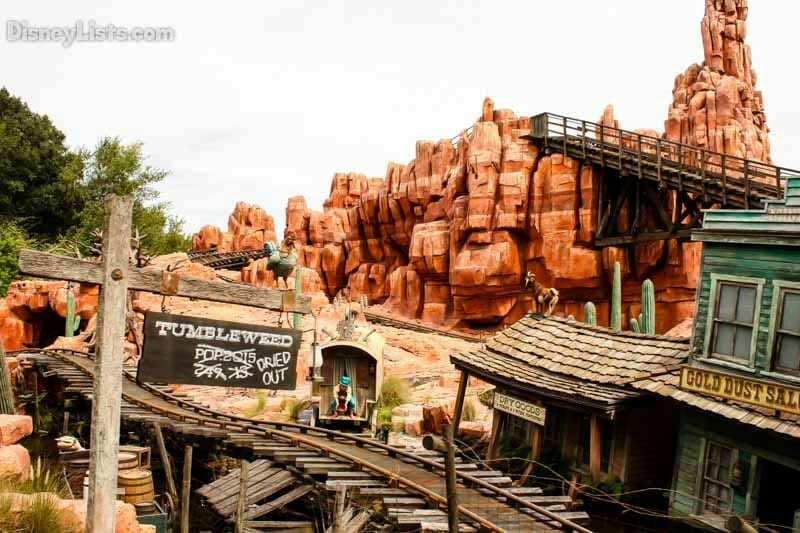 And yet, a ride on Big Thunder Mountain would feel incomplete without hearing that iconic line. I think it’s probably the accent, and the emphasis on the word “wilderNESS,” that makes it so great. Nonetheless, every time I ride, I always hear guests repeat it, as they laugh and toss their hands in the air. This quote is also on a lot of Etsy merchandise, and I can definitely understand why. Hearing it brings back the joy of being at Magic Kingdom, getting ready to board a runaway train. No matter how many times I hear it, I love riding the World Famous Jungle Cruise and getting to witness the amazing backside of water (also known as O2H). Most of the jokes and puns on this attraction will only work well if you have a good skipper, but this is one that sticks the landing every time. Usually, there’s always a few guests on the boat who also know this line and greet it with equal enthusiasm. And though the script may vary every time you ride, this quote is the one that will always be there! The Tomorrowland Transit Authority PeopleMover is probably my favorite attraction in Magic Kingdom. I wish every land had a transportation system that would take you around the different attractions, giving you an overview of what there is to do and see. While this ride could have gotten away with a bland narration in the background, the “Paging Mr. Morrow” quote makes the journey even more enjoyable. I look forward to hearing it every time I ride and think about how Disney should make Mr. Tom Morrow a walk-around character. Most Disney attraction quotes are fun, but this one always gives me the chills. Tower of Terror still scares me and hearing these words spoken during the ride’s introduction video only add to my trepidation (which is what the video is meant to do). Fans of the Twilight Zone show and of the host, Rod Serling, will also appreciate this line. Though Serling died long before Tower of Terror opened, his narration and on-screen appearance is achieved by Disney using archived Twilight Zone footage, and voice-over dubs by impersonator Mark Silverman. It is really well done, not to mention extremely eerie! I find that once I’m off this ride and in the safety of the sun again, I appreciate the script a lot more. I love this line so much. Every time I hear it, I feel the excitement mount. Soarin’s pre-show video with Patrick Warburton is one of the best (“Nice work, pal”), and after the video ends guests promptly enter the theater. You get strapped into your hang glider, dangle your feet, and get ready for the attraction to start. Soon enough, the theater goes dark, tiny blue spotlights appear on the ground, and you hear the overhang of the ride vehicle snap into place. Then comes Patrick, announcing, “Soarin’ to tower, we are ready for takeoff.” You swoop high into the air and are off on your round-the-world adventure. Hearing this line will never fail to make me happy, and I’m so glad they kept it from the Soarin’ Over California version. Pirates of the Caribbean is filled with quotable lines, as well as a catchy song. 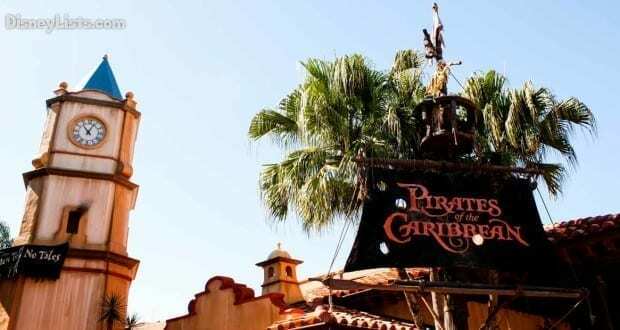 It’s hard to pick a favorite line, but I absolutely love hearing the creepy echo of “Dead men tell no tales.” At this point, the ride has just started, and guests glide past haunting caves filled with pirate skeletons, stormy skies, and apparitions of Davy Jones and Blackbeard. We don’t see any living pirates until we hurtle down the initial drop into darkness, and then suddenly, we’re placed right in the middle of a ship’s battle. For the rest of the ride, it is indeed apparent that dead men DO tell tales- whether they’re setting fire to the town, trying to tempt a dog with keys to break them out of jail or auction off some chickens. Drink up me hearties, yo ho! 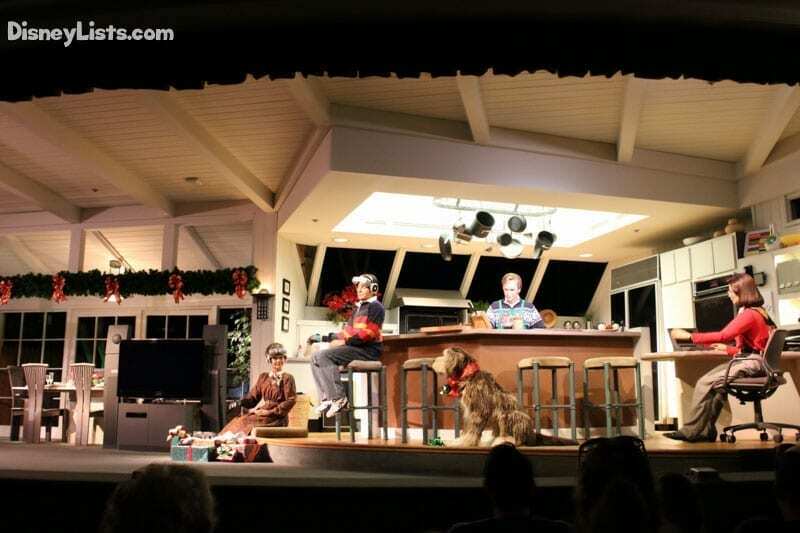 Carousel of Progress is one of those rides that I didn’t really appreciate until I got older, and started to work for Disney. But now I recognize it as a classic ride that paints the picture of an American family and how they adapt to changes and progress throughout the years. On a superficial level, I also love that this is an attraction my whole family can ride together, and where we can take a break to sit down in the air-conditioning. No matter how you look at it, I love the story and the ride’s message- there’s always something to look forward to. Plus, this line comes from the attraction’s theme song, which was written by the famous Sherman Brothers. Tomorrow is just a dream away! The Haunted Mansion is definitely in my top five favorite Disney attractions, and I’ve ridden it so often that I can recite the spiel in my sleep (though I would never do so in front of other guests- that’s just insensitive). This is another ride that’s packed with great quotes, but the whole monologue from the Stretching Room is priceless. Hearing the Ghost Host explain your predicament is a great way to set the mood, and soon you are indeed led into a hallway where you board a Doom Buggy for your tour through the mansion. After the ride, stop by the Memento Mori gift shop for lots of merchandise with Haunted Mansion quotes, or browse on Etsy (my favorite is a plaque I found on the site that states, “Welcome Foolish Mortals”). Depending on who you talk to, the monorail isn’t technically an attraction. However, it is the classic transportation system that takes guests around Walt Disney Property, and it’s a lot more fun than driving a car. In fact, when picturing Disney, the monorail is one of the first things that pop into my mind. Every time you board your “highway in the sky,” you hear the iconic safety spiel telling you to please stand clear of the doors (and then repeated, in Spanish). This phrase has become so popular that I’ve seen it emblazoned on official Disney T-Shirts and hats. It’s not uncommon to hear this phrase repeated by guests who come to Disney a lot. If anything, hearing this quote reminds you that you’re about to travel somewhere truly magical- and that makes it iconic in my book!